The thing to notice is the SERVING SIZE--this is what thwarts so many people's weight loss effort. 3.5 oz is not very much--but we find it saves a lot of money to stick to it! I point this out when people complain about the expense of salmon. Same with fruit. I search for SMALL apples and oranges (and bananas) which can be difficult to find in our "big is better" world. Starting with small is easier than trying to only eat half. I read the whole paper looking for major flaws, and couldn't find any - and I tried. They cited several earlier studies that reported the same increase in prostate cancer risk, so this isn't the first one. The evidence is building that this is a real effect. They also cited (as did I) some large recent studies showing that fish oil *pills* have no benefit. 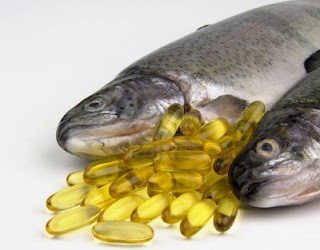 There are earlier studies showing that a diet high in fatty fish is correlated with better heart health, hence their conclusion that there's no benefit from fish oil supplements, despite the apparent benefit from eating fish. it all looks a bit random though. in the present study they claim to have repeated results of a previous study (http://bit.ly/19hwyMx. But they did not. In the previous study the only significant association was found with DHA (and only, oddly, in the 2nd and 4th quartiles - in the 3rd quartile it was not significant). In the present study the only significant association was with total omega3, it was not significant for DHA and it was not significant for total omega3 in the previous study. Also previously they reported that trans fats were protective, in this study there was no association. sample provided by participants upon enlistment in the study, not at the time of diagnosis, and certainly not at the end of the study five years later. What these men ate within 48 hours of study enrollment hardly justifies sound science. No measurement was ever taken again at any point in the study. The statistical model that was used to draw conclusions is appropriate for drug consumption at regular daily intervals, where levels stay fairly constant, but not for omega-3 blood serum levels, which may vary considerably based on diet. Finally, the researchers base their conclusions on very small differences in mean omega-3 blood plasma phospholipid levels. The increased prostate cancer risks they ascribe to men who consume large amounts of omega-3 is based on a level of 4.66% in the cancer group, versus a level of 4.48% in the control group. This is the difference of eating maybe an ounce of fish. The bottom line, is that they irresponsibly reported a singular data point and made a very wild non-scientific assumption based on this. From all I've read Omegas can be a bit unstable and require antioxidants such as natural Vitamin E (not synthetic -dl) to counteract the oxidation effects. For that reason I take ground flax seed and flax oil along with a minimal amount of Omegas. This allows my body to convert the flax to the EPA/DHA that it needs and reduces the amount of pure omegas that my body may require. Should I have difficulty with the conversion of flax I still get my omegas as a safety net. This way I get the best supplementation and I am not in a holding pattern until all the data shakes out. It is my understanding that krill has naturally occurring antioxidants and thereby may be a better source of omegas. I am in full agreement that the establishment Is much too quick to discredit supplementation with questionable data while totally overlooking the preponderance of evidence on the beneficial aspects from past studies and demographic analysis. This leads me to question the integrity of the scientists doing these studies and their motives as well as the media reporting it.